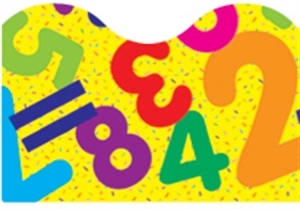 Liven up any Numeracy display. 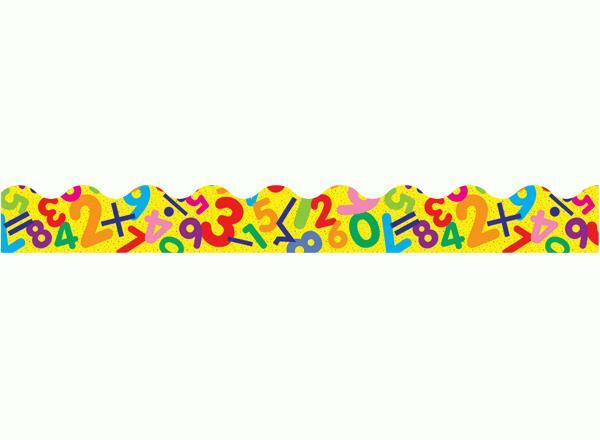 Liven up any Numeracy display with the colourful Maths Fun Border. Use as a trimmer for classrom displays and bulletin boards. This glossy, scalloped border is durable and reusable. 12 pieces, each 5.5cm x 1m.